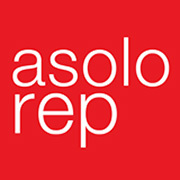 Asolo Repertory Theatre – A world-renowned acting company known for producing the highest quality professional theatre in true rotating repertory. Art Center Sarasota – ACS continually puts on popular, culturally significant exhibitions, classes, workshops, artist demonstrations, lectures, discussions, critiques, receptions and special events. They are open to all ages and to all art forms.! Arts and Cultural Alliance of Sarasota County – The Arts Cultural Alliance is a member powered group passionate about building appreciation, participation and support for arts and culture. The council has administers grants to area artists and arts organizations. 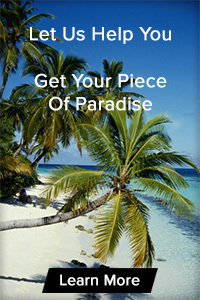 Florida Studio Theatre – FST produces world premieres and contemporary works which have been produced on or off-Broadway within the last five years. FST operates three theatres: the 173-seat Keating Mainstage Theatre, the 160-seat Gompertz Theatre and the 109-seat Goldstein Cabaret Theatre. John and Mable Ringling Museum of Art – The Museum of Art, built by John Ringling to house his personal collection of masterpieces, today features paintings and sculptures by the great Old Masters. The European, American and Asian masterworks available here make the Museum of Art an awe-inspiring retreat. The Players – A community theater with always enjoyable productions. Sarasota Ballet – Sarasota Ballet is the Gulf Coast of Florida’s first and only professional ballet company, bring high quality artistic performances to the community. The Sarasota Film Festival – Ten days of screen stars, seven epic events and more than 180 films grace Sarasota every year in what was called “the acme of regional film festivals” by Variety Magazine. 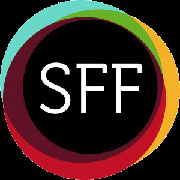 Sarasota Film Society – Sarasota Film Society is a nonprofit, member-supported organization, dedicated to providing the highest levels of entertainment and education to the public from all areas of the film industry. Sarasota Folk Club – The Sarasota Folk Club is a Florida nonprofit organization keeping the traditions of Folk Music a living part of the Sarasota community. Sarasota Key Chorale – Key Chorale is dedicated to performing and promoting professional symphonic choral music. Sarasota Opera – Performing in the historic restored Sarasota Opera House the The Sarasota Opera is an internationally respected producer of the highest quality professional opera. Sarasota Orchestra – The 80-member Orchestra performs more than 100 classical, pops and family concerts each year, and thrives as the oldest continuing orchestra in the state of Florida. Van Wezel Performing Arts Hall – Set along the bayfront, the landmark Van Wezel Performing Arts Hall has been entertaining audiences with a variety of music, dance, theater and comedy for more than 35 years.